Our local new style networking group was started in April 2012, as many local independent businesses felt they were being overlooked – the group caters especially for businesses which are owned, managed or represented by women. The aim of the group is to encourage business women to get away from the work place for just a short time in the busy working day and to give them the opportunity to meet like minded women from the local area, learn, share experiences and also to network and promote their businesses. The group has an informal structure which many of the ladies have found far more comfortable and successful than the hard sell method used in some more traditional style networking groups. The Ashby Ladies Business Group website promotes all the members businesses as well as news and events and there is also a lively members only closed Facebook group page. 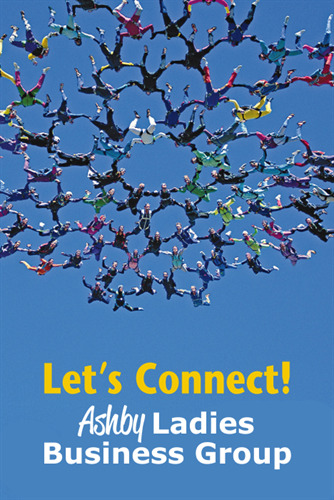 The Ashby Ladies Business Group has around 100 local business ladies involved. (And growing rapidly) All we ask is that everyone helps with the running costs for just a few pence per week by adding their business page to our very busy website, but this also promotes the businesses even more. We are extremely good value for what we offer for members at the equivalent of £8.25 a month. And you can visit all other area events too if you wish. We allow 2 visits to our event as guests. There have been some great success stories in the group and new members from all sectors of business are welcomed. There is no lock out. New groups have also started up in Loughborough, Alcester and Burton last year and 2 new groups are planned to start in the summer of this year too. And we were lucky enough to have Education Secretary and Minister for Women, Nicky Morgan launch our Loughborough group and highly recommend and support our networking groups ethos. The Ladies Business Group has a diverse range of talent and the group has caused a lot of interest among the business women in the local area. Contact Sue Crooks on 03330 116449 for further details.